These days, there’s a lot of crude oil from the nation’s heartland running through New York State and if the oil companies have their way, there’s going to be a lot more. Production from shale fields in the nation’s interior and Canada has dramatically increased. Since there’s limited capacity for shipping petroleum products by pipeline, energy companies are turning more to rail transportation to ship its crude to coastal refineries, and then export. As a result, the nation’s oil industry now wants to make Albany, our state’s capital, a major refining and export center. Help us stop the expansion of crude oil transportation - send a letter to Governor Cuomo today! Recently, a permit application from a company called Global Industries, LLC, which already processes crude oil at the Port of Albany, was submitted to the Department of Environmental Conservation (DEC) to expand its refining capacity substantially. If allowed to expand, this would mean increased oil-by-rail traffic through New York’s major cities and along its important waterways, including the Hudson River. Here’s the problem: The safety of these oil trains are regulated by antiquated laws and regulations promulgated by both the US Department of Transportation (USDOT) and our state’s DEC. This means the likelihood of these trains crashing is much higher than it should be. 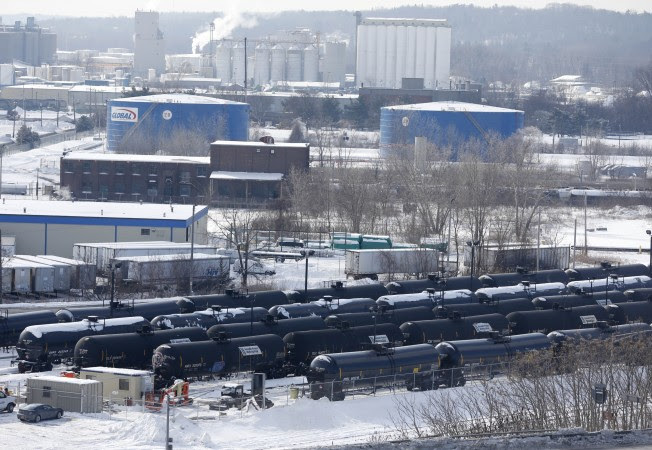 In fact, after a major oil train derailment in the province of Quebec about 10 miles from the US boarder devastated a small town last year killing 47 people, there’s been a push in both Congress and in our neighbor to the north to better regulate and limit oil train traffic. Just yesterday, another oil train derailed and exploded in Lynchburg, Virginia, near the James River, which supplies drinking water to the downstream residents of Richmond. This increased rail transport of heavy crude oil presents a dangerous threat to our communities and waterways, in New York and across the nation. One environmental advocate has called this issue Governor Cuomo’s “Keystone Moment.” In fact, in response to yesterday’s oil train accident, Governor Cuomo sent a letter to President Obama asking the federal government to overhaul the USDOT safety regulations, starting with taking DOT-111 trains off the rails now. We applaud this stance and hope the governor will take a similar stance with New York State regulation by opposing the expansion of refining capacity at the Port of Albany. Please join us in calling on Gov. Andrew Cuomo's administration to bolster its review of Global’s plan to expand its crude-oil facilities on the Hudson River. As New York citizens, we must do everything possible to stop these under-regulated, dangerous oil trains from traversing our rails. We want the DEC to perform an extensive evaluation of Global Oil’s operations and environmental track record, to impose the most stringent safety requirements and oversight, and to limit the number of these potentially killer trains from traversing our rails. We can’t afford a spill or an explosion that will devastate our towns, cities, waterways or environment. Please send a letter today. The New York State Energy Research and Development Authority announced on Friday that the deadline to submit comments to the New York State Energy Plan has been extended to May 31, 2014. They also released two new supporting documents for public review, the Energy Efficiency and Renewable Energy Potential Study of New York State and the New York State Greenhouse Gas Inventory and Forecast Study. The draft plan perpetuates the use of climate changing fossil fuels and would meet energy needs by producing or importing massive amounts of natural gas. We need a plan that supports the immediate transition from a fossil fuel based economy to one based on clean, renewable energy. If you haven't yet submitted your comments, click here to comment today.